Death Valley, CA. 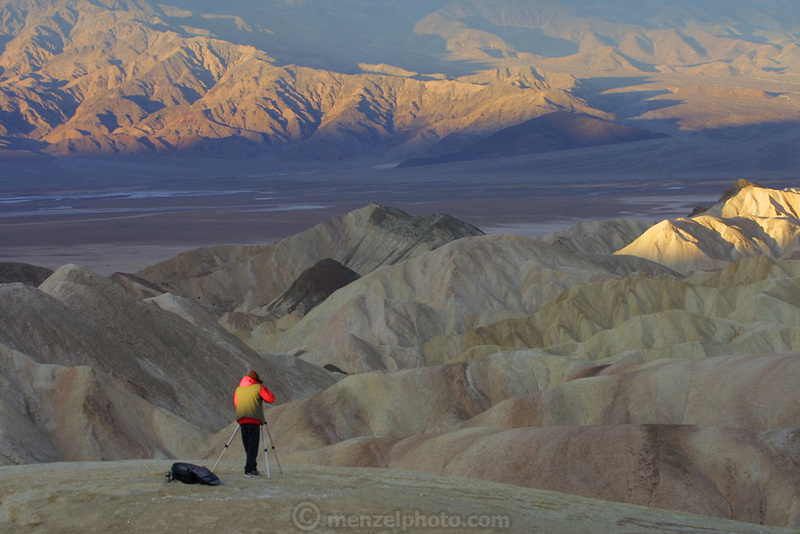 A photographer shoots from Zabriskie Point at dawn with a tripod mounted camera. Christmas road trip from Napa, California to Sedona, Arizona and back.